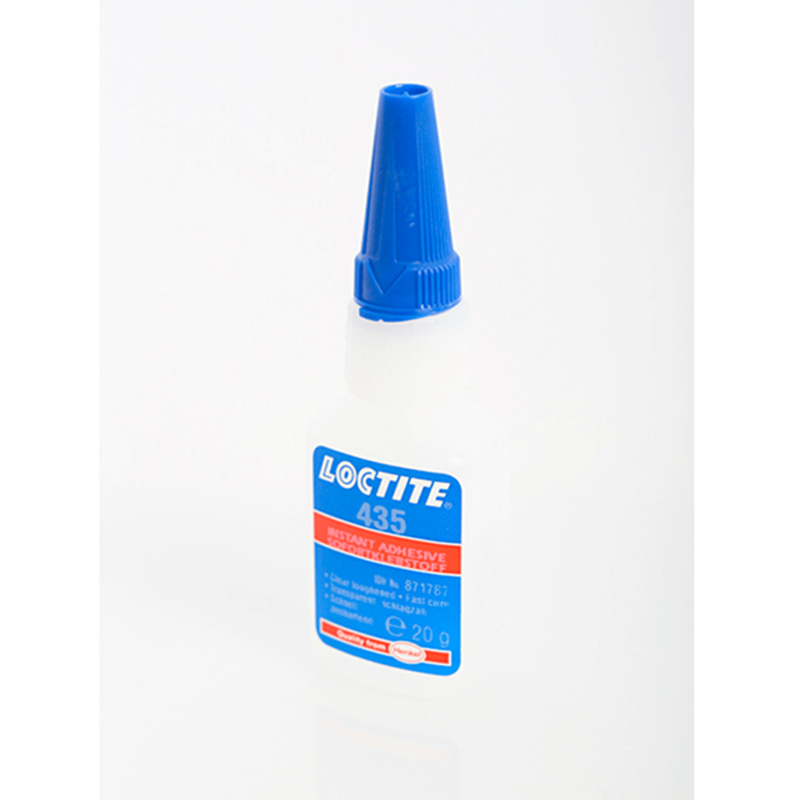 Loctite 435 Instant Adhesive – Toughened, clear. Loctite 435 is a rubber toughened adhesive with increased flexibility and peel strength along with enhanced resistance to shock. The product provides rapid bonding on a wide range of materials, including metals, plastics and elastomers, as well as porous and absorbent materials like wood, paper, leather and fabric.